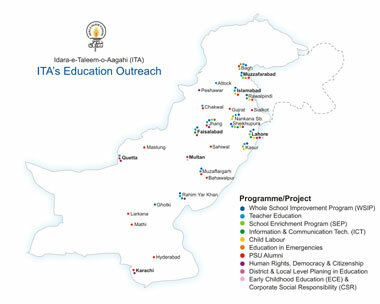 Formal Education : Whole School Improvement Program (WSIP) ITA’s niche area. Non-formal programs for Child Labor and Vulnerable Groups through mainstream approaches. Literacy and Livelihood programs for youth and adults. School Enrichment Program – Clubs: Summer; ICTs, Youth, Homework Study & Bridge Programs. Citizenship Education, Democracy, Human Rights and Governance (Youth, Community, School Councils & Teachers). 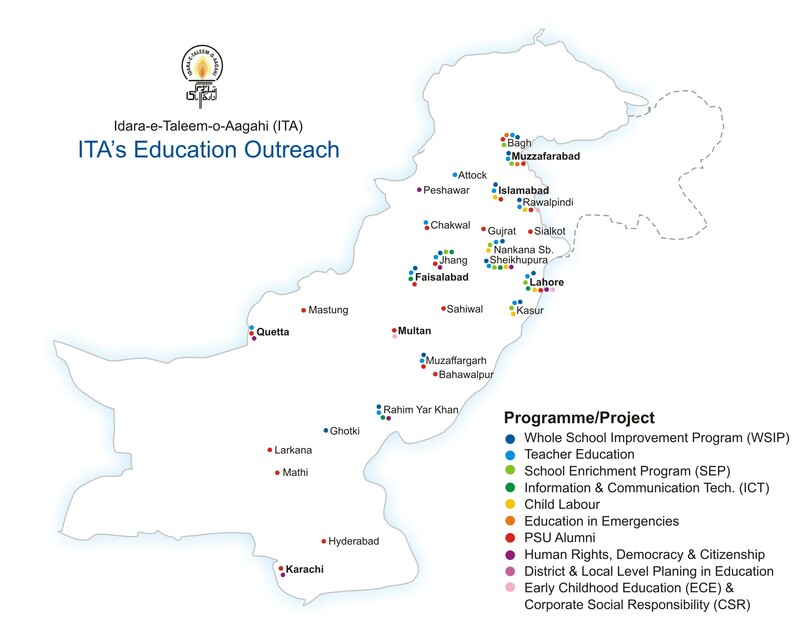 Public-Private Partnerships in Education through Corporate Social Responsibility (CSR). Professional Development & Capacity Building for educators and education leaders & managers; in-country and abroad through the Institute for Professional Development (IPD). South Asia Forum for Education Development (SAFED) www.safedafed.org. Each program has gender, advocacy and partnerships as cross cutting areas. Services: Training, Scholarships, Internships, Research, Documentation, Strategic Design, Communication Strategy & Desktop Publishing; Design and delivery of conferences and workshops.